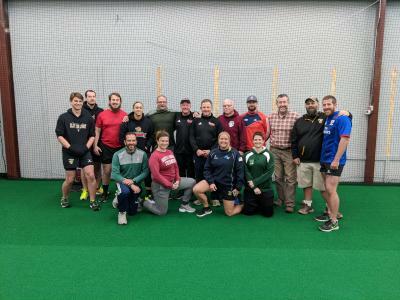 Growing and improving club rugby administration and coaching throughout the Carolinas Geographic Rugby Union is just as important, if not more important, than the growth in playing numbers. Good club administration improves player recruiting, retention, and satisfaction. Excellent coaching improves the overall playing experience for all players, thus improving player retention rates and level of competition. As the CGRU plans to introduce coach development opportunities to go along with player development opportunities. Each year the CGRU will reimburse one coach per club to take either the USA Rugby Level 200 or Level 300 Coaching course. Once the member has registered & completed the class, they will need to send a copy of the following items to the union for repayment to be issued. The member requesting reimbursement must be a currently registered and in good standing member of a CGRU club in order to receive the reimbursement. To learn more about the discounts available to USA Rugby members, please follow this link.